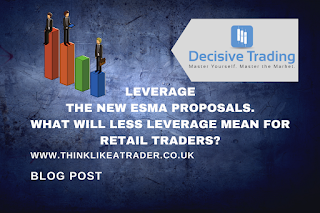 Decisive Trading: Leverage - The New ESMA Proposals - What Will Less Leverage Mean For Retail Traders? Leverage - The New ESMA Proposals - What Will Less Leverage Mean For Retail Traders? It is one of the words that every trader has come across at some point. However, very few actually understand what it is or how it works. 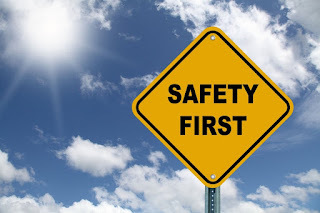 In this blog post I am going to look at specifically the new rules on leverage proposed by ESMA (European Securities and Markets Authority). We will look at the differences the changes will make and also show who it will hit hardest. I am sure if you are with a broker anywhere in Europe, you have received somewhat panic-stricken emails from the broker, urging you to email ESMA and show your opposition to the new leverage restrictions they are suggesting. Your broker isn’t doing that because they care about you and want you to always have the best they can offer – they are emailing you because the new regulations would cost the brokers money in loss of business. So, the first thing to say is that I would be VERY surprised if the new regulations don’t come into force. The EU write their own rules with very little care for the opinion outside of their bureaucracy. Sometimes I think their departments make new regulations simply to justify their jobs… can you spot my disdain for them yet? However, there does need to be a change within the trading industry. You can get leverage as high as 1:200, which is frankly ridiculous. What it does is inspire gambling and leads to a lot of beginners losing a lot of money. It is easy to quick-fire orders on a market when you are in a downward spiral of emotional trading, and with such high leverage, your broker will only margin call your account when it is almost completely cleaned out. The brokers themselves do not care, and so it had to come to some regulatory board to bring about changes. I do think as an adult, you should shoulder the full responsibility of your decisions and be able to MAKE those decisions without big-brother looking over your shoulder. You risked the money. You lost the money. It is your own fault. But the changes are almost certainly coming, and there will actually be some benefits and safeguards that it will bring about. So, who is this going to hurt and who isn’t it going to hurt? Mainly it is going to hurt those with small trading accounts. It is going to force you to reduce your risk on trades, like it or not. It may even price some people out of the markets… But, is that a bad thing? If you are risking extremely high amounts in terms of a percentage of your overall account, you are going to blow your account anyway. It happens every single time. If you are looking to build a career or a serious secondary income source, you need to use strict money management. The new leverage rules will force you to be somewhat safer with your money. What about those who can’t afford to open an account and trade with the new leverage levels? Again, is that really that bad? If you can’t afford to put say a couple of thousand in an account, should you even be trading? People may get outraged but being able to trade at 1:200 is crazy. It will force people onto a demo account until they can build money enough to open a live account. In that time, people can learn whilst safe from blowing a real account. It is also going to hurt swing traders or anyone who has multiple positions open at once. Trying to hold 5 – 10 positions at once will require a much larger account to cover the margin requirements. We are going to look at some examples shortly. Who isn’t it going to hurt as much? Well, us day traders who use good money-management. If you are risking small amounts of your capital, say 1% - 3% then the new leverage will not have such a profound impact. As a day trader, I only ever have 1 position open at a time, and on very rare occasions, two. Again, that protects me from the new changes. But really, it protects me from huge losses, which is the real reason I do it, and the real reason all professionals do it. Let’s look at a couple of examples on the FTSE 100 and EURUSD using IG Index broker. Currently, they offer up to 1:200 leverage. However, with the new proposals, major markets may drop down to 1:30. The amounts we will use can be reduced slightly by using tight stops, but for the purpose of this blog we will just use the standard margin requirements for the positions. Let’s look at two FTSE 100 examples. We will say you want to open a position risking £10 per point (spread betting) or one contract (CFD). For our second example we will look at a position risking £2 per point (spread betting) or one mini-contract (CFD). That is what needs to be in your account to cover the trade – basically it is what your broker uses as a deposit to secure the use of the leverage. If you took another trade at the exact same level with the same risk, you would then need £1,299.60 etc. It is important to note here also, that these totals are not your risk when calculating say your 1% risk for entering a trade. Just because my margin is £129.96, does not mean that I am not planning on exiting at a minus £40 loss, which would be a 1% risk on a £4,000 account. If my stop is set at the £40 loss level, my risk is £40, not the margin amount. So, what we can see, is that currently you really don’t need a lot of money to open positions. But what most people see is the ability to make much larger returns in terms of their investment. The other side of the coin is that the losses can also happen very quickly. You can be risking huge portions of your account on trades and within a matter of minutes be left with nothing. The gambling warnings that every broker displays are not there randomly. They are there because a very high portion of people gamble their money away very very quickly in trading. Let’s now look at the same examples, but with a new 1:30 leverage limit that is likely going to come into force. That will equate to roughly 3.33%. So, now we have much bigger numbers. But, as long as you are following good money management, the changes really shouldn’t scare you at all. Especially not if you are a day trader. What it will also do, is FORCE people to use much better money management and keep people who can’t afford to lose the money off of the charts. I must stress here, I in NO WAY agree with the changes and think adults should make their own free choices. However, you have to take into account the positives. If you had heard as many horror stories as I have of people losing their pensions and life-savings, you would understand where I am coming from. Sometimes safety nets DO help. If we look at the widely accepted ‘safe’ level of money management, it suggests only ever risking 1% of your account on any one trade. Now let’s say at £10 per point on the FTSE 100 you are risking 12 points – which is an average sized stop for me day trading. We will also use this example for the £2 per point risk. That means you are risking £120, which means you should have a £12,000 account. For the second example you are risking £24 and should have a £2,400 account. As you can see, neither of these are hampered by the new leverage proposals. You would need to either be in 5 trades at once, or risking way too high in proportion to your trading account for it to start impacting you. This is where it may hurt swing traders. If you usually have 5 – 10 positions open at once, that is going to become very difficult to do without reducing risk drastically. 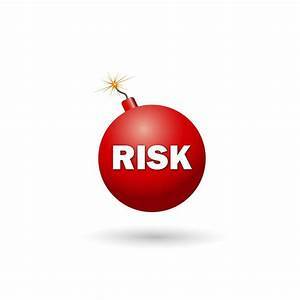 Your risk is exactly the same in both examples, and again the new leverage regulations do not hamper your trading. Even after multiple losses in a row, you STILL have the ability to trade at your 1% risk without adjustments. Even if you are risking 2% per trade, it does not hurt your trading approach. So, the likelihood is that the new leverage regulations WILL come into force. I do not in any way expect the emails of us retail traders to change the proposals. However, it isn’t something you should fear as a trader on the worry that it will snuff you out of doing something you enjoy. For us day traders certainly, and those using good money management, we will be able to continue as normal. It will also force beginners to use better money management which is no bad thing. Thanks for writing this James. Personally I have had numerous prompts to respond to ESMA directly from brokerage firms, but I havent really understood the implications of the proposed changes. After reading your blog post I cant help but agree with you that the changes would be a good thing. Luckily, I have yet to blow up an account but know many people who have. If they could have been saved by these changes then I cant help think they would welcome them too. Now I know the implications for me I will be asking my broker for a chance to win a free ipad before sending any emails for them. Hope you're well Greg. They wonder why the changes are coming and then as you say, in the next breath they offer people ipads and laptops if they can make the most gain in a few months. All that does is encourage gambling and over trading. The more people trade, the more spread payments the broker gets! Interesting read, looks like it doesn't affect us at all as the margin levels are much lower than our 1 % account size anyway (like you said)! Thanks Oli. Yes, fine for us day traders!